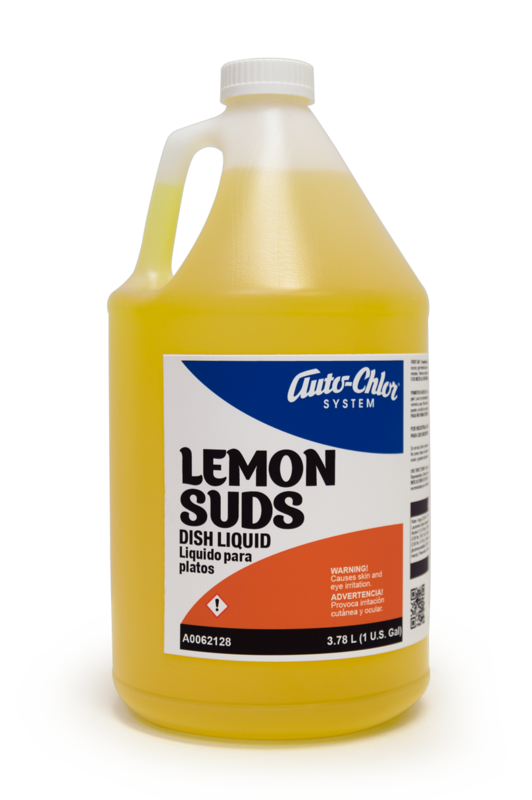 Suitable for use as a destainer when dispensed into hot water dishwashing machines. 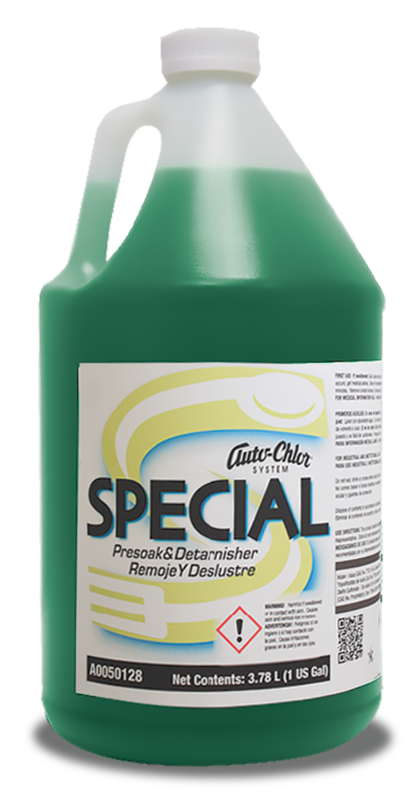 Bactericidal, virucidal, fungicidal, mildewstat, sanitizer. 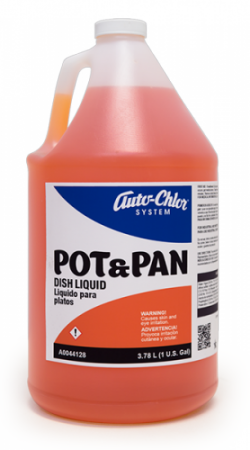 Designed for use in mechanical or manual dishwashing operations. 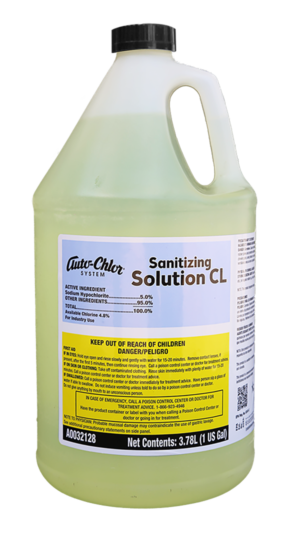 Auto-Chlor System Sanitizing Solution CL is an economical, general purpose sanitizer and destainer for manual or automatic dishwashing applications. 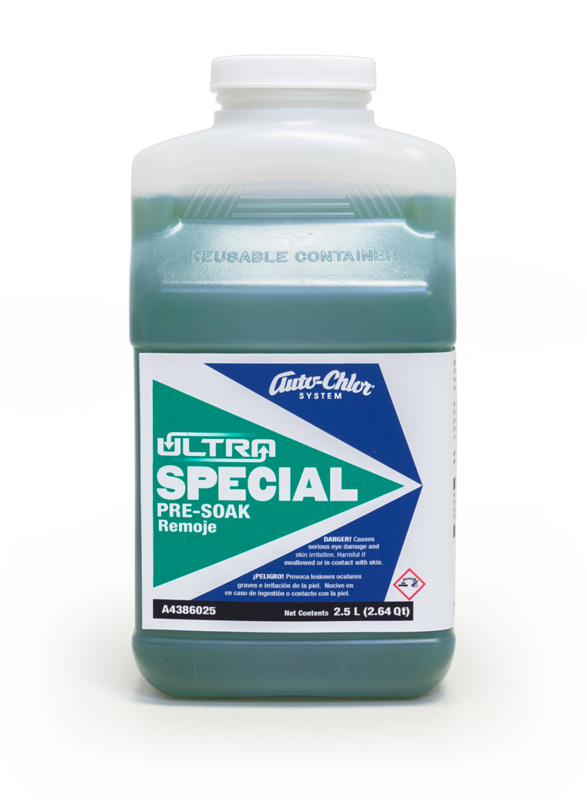 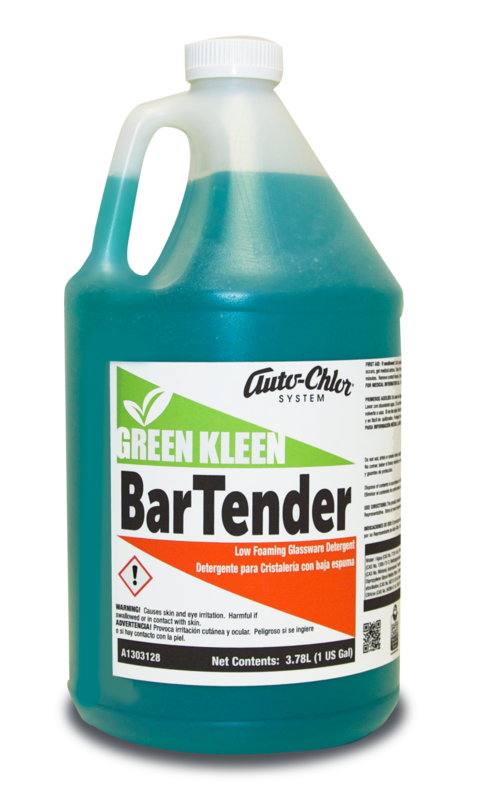 This chlorine based, terminal rinse sanitizer is specially formulated to eliminate bacteria from pre-cleaned dishware, glasses and food service utensils. 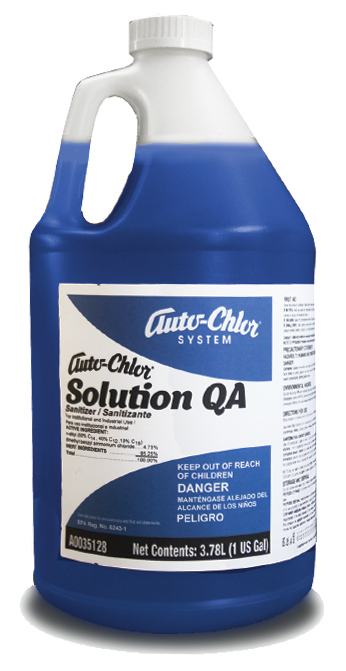 Sanitizing Solution CL can be automatically dispensed using Auto-Chlor System precision-engineered dispensing equipment to ensure dosing accuracy and eliminate product waste. 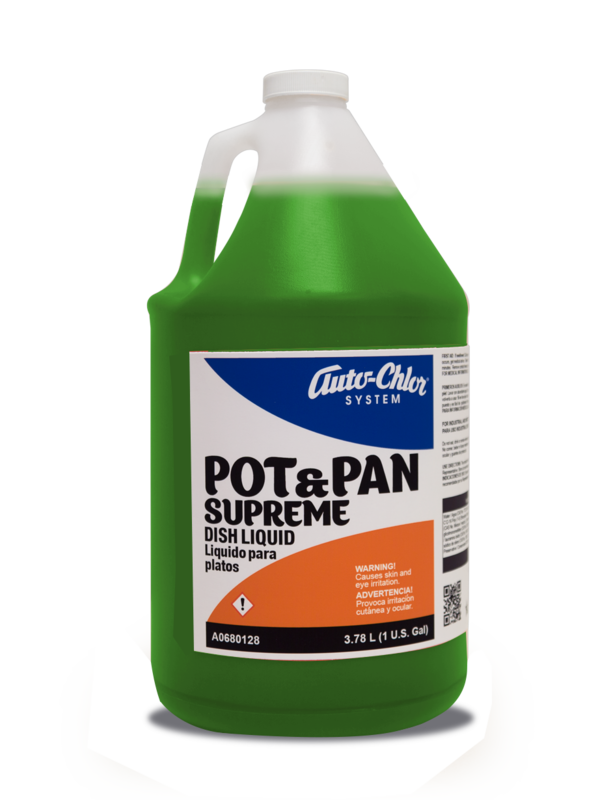 The biodegradable formula is EPA registered and with all municipal health codes.